Chapter 115D - Community Colleges. Article 1 - General Provisions for State Administration. § 115D-1. Statement of purpose. § 115D-1.1: Repealed by Session Laws 2011-145, s. 7.1A(f), effective January 1, 2012. § 115D-1.2: Repealed by Session Laws 2011-145, s. 7.1A(f), effective January 1, 2012. § 115D-1.3. Accreditation of secondary school located in North Carolina shall not be a factor in admissions, loans, scholarships, or other educational policies. § 115D-2.1. State Board of Community Colleges. § 115D-3. Community Colleges System Office; staff. § 115D-4. Establishment of institutions. § 115D-4.1. College transfer program approval; standards for programs. § 115D-5. Administration of institutions by State Board of Community Colleges; personnel exempt from North Carolina Human Resources Act; extension courses; tuition waiver; in-plant training; contracting, etc., for establishment and operation of extension units of the community college system; use of existing public school facilities. § 115D-5.1. Workforce Development Programs. § 115D-5.2. Commercial fishing and aquaculture classes. § 115D-6. Withdrawal of State support. § 115D-6.1: Reserved for future codification purposes. § 115D-6.2: Reserved for future codification purposes. § 115D-6.3: Reserved for future codification purposes. § 115D-6.4: Reserved for future codification purposes. § 115D-6.5. Notice of noncompliance; appointment of an interim board of trustees. § 115D-7. Establishment of private, nonprofit corporations. § 115D-8. Repealed by Session Laws 1999-84, s. 4. § 115D-9. Powers of State Board regarding certain fee negotiations, contracts, and capital improvements. § 115D-10. Reserved for future codification purposes. § 115D-11. Reserved for future codification purposes. § 115D-11.8. Powers and duties of Director of ApprenticeshipNC. § 115D-11.9. Apprenticeship committees and program sponsors. § 115D-11.10. Definition of an apprentice. § 115D-11.11. Contents of agreement. § 115D-11.12. Approval of apprentice agreements; signatures. § 115D-11.13. Rotation of employment. Article 2 - Local Administration. § 115D-12. Each institution to have board of trustees; selection of trustees. § 115D-13. Terms of office of trustees. § 115D-14. Board of trustees a body corporate; corporate name and powers; title to property. § 115D-15. Sale, exchange or lease of property; use of proceeds from donated property. § 115D-15.1. Disposition, acquisition, and construction of property by community college. § 115D-16. Elective officials serving as trustees. § 115D-17. Compensation of trustees. § 115D-18. Organization of boards; meetings. § 115D-19. Removal of trustees. § 115D-20. Powers and duties of trustees. § 115D-20.1. Policy prohibiting tobacco use in community college buildings, grounds, and at community college-sponsored events. § 115D-20.2. Student organizations; rights and recognition. § 115D-21. Traffic regulations; fines and penalties. § 115D-21.1. Campus law enforcement agencies. § 115D-21.5. NC Career Coach Program. § 115D-22. State Retirement System for Teachers and State Employees; social security. § 115D-23. Workers' Compensation Act applicable to institutional employees. § 115D-24. Waiver of governmental immunity from liability for negligence of agents and employees of institutions; liability insurance. § 115D-25. Purchase of annuity or retirement income contracts for employees by local boards of trustees. § 115D-25.1. Dependent care assistance program. § 115D-25.2. Flexible Compensation Plan. § 115D-25.3. Voluntary shared leave. § 115D-25.4. Department of State Treasurer-sponsored 403(b) option. § 115D-26. Conflict of interest. Article 2A - Privacy of Employee Personnel Records. § 115D-27. Personnel files not subject to inspection. § 115D-28. Certain records open to inspection. § 115D-29. Confidential information in personnel files; access to information. § 115D-30. Remedy of employee objecting to material in file. Article 3 - Financial Support. § 115D-31. State financial support of institutions. § 115D-31.2. Maintenance of plant. § 115D-31.3. Institutional performance accountability. § 115D-32. Local financial support of institutions. § 115D-33. Providing local public funds for institutions established under this Chapter; elections. § 115D-34. Providing local public funds for institutions previously established. § 115D-35. Requests for elections to provide funds for institutions. § 115D-36. Elections on question of the addition of a college transfer program at an institution and issuance of bonds therefor. § 115D-37. Payment of expenses of special elections under Chapter. § 115D-38. Authority to issue bonds and notes, to levy taxes and to appropriate nontax revenues. § 115D-39. Student tuition and fees. § 115D-40. Repealed by Session Laws 1999-237, s.9.4(c). § 115D-40.1. Financial Assistance for Community College Students. § 115D-40.2.  Semester limitation on eligibility for North Carolina Community College grants. § 115D-41. Restrictions on contracts with local school administrative units; use of community college facilities by public school students pursuant to cooperative programs. § 115D-42: Repealed by Session Laws 2018-5, s. 9.6(a), effective July 1, 2018. § 115D-43. Funds for an intercollegiate athletics program. § 115D-44 Reserved for future codification purposes. Article 4 - Budgeting, Accounting, and Fiscal Management. §§ 115D-45 through 115D-53. Recodified as §§ 115D-54 to 115D-58.12. Article 4A - Budgeting, Accounting, and Fiscal Management. § 115D-54. Preparation and submission of institutional budget. § 115D-56. Final adoption of budget. § 115D-58. Amendments to the budget; budget transfers. § 115D-58.1. Federal contracts and grants. § 115D-58.2. Allocation of revenue to the institution by the local tax-levying authority. § 115D-58.3. Provision for disbursement of State money. § 115D-58.4. Provisions for disbursement of local money. § 115D-58.6. Investment of idle cash. § 115D-58.7. Selection of depository; deposits to be secured. § 115D-58.11. Fire and casualty insurance on institutional buildings and contents. § 115D-58.12. Liability insurance; tort actions against boards of trustees. § 115D-58.15. Lease purchase and installment purchase contracts for equipment and real property. Article 5 - Special Provisions. § 115D-59. Multiple-county administrative areas. § 115D-60. Special provisions for Central Piedmont Community College. § 115D-61. Special provisions for Coastal Carolina Community College. § 115D-62. Trustee Association Regions. §§ 115D-63 through 115D-67. Reserved for future codification purposes. Article 5A - North Carolina Center for Applied Textile Technology at Gaston College. § 115D-67.1. Purpose of the Center. § 115D-67.3. Director and other Center personnel. § 115D-67.4. Fees collected by the Center; purchases using Center funds. Article 5B - Manufacturing Solutions Center at Catawba Valley Community College. § 115D-67.10. Purpose of the Center. § 115D-67.11. Director and other Center personnel. § 115D-67.12. Fees collected by the Center; use of Center funds. Article 6 - Textile Training School. §§ 115D-68 through 115D-71: Repealed by Session Laws 2005-103, s. 2, effective July 1, 2005. Article 6A - Motorcycle Safety Instruction. § 115D-72. Motorcycle Safety Instruction Program. §§ 115D-73 through 115D-76. Reserved for future codification purposes. Article 7 - Miscellaneous Provisions. § 115D-78. Access to information and public records; small business counseling information. § 115D-80: Repealed by Session Laws 2011-145, s. 8.18(b1), as amended by Session Laws 2011-391, s. 19, effective July 1, 2011. §§ 115D-82 through 115D-86. Reserved for future codification purposes. Article 8 - Proprietary Schools. § 115D-89. State Board of Community Colleges to administer Article; issuance of diplomas by schools; investigation and inspection; rules. § 115D-89.1. State Board of Proprietary Schools. § 115D-89.2. Office of Proprietary Schools; staff. § 115D-89.3. State Board of Proprietary Schools and State Board of Community Colleges; licensing authority and coordination of responsibilities to administer Article. § 115D-89.4. Powers of the State Board of Proprietary Schools. § 115D-90. License required; application for license; school bulletins; requirements for issuance of license; license restricted to courses indicated; supplementary applications. § 115D-91. Duration and renewal of licenses; notice of change of ownership, administration, etc. ; license not transferable. § 115D-92. Authority to establish fees; Commercial Education Fund established; refund of fees. § 115D-93. Suspension, revocation or refusal of license; notice and hearing; judicial review; grounds. § 115D-94: Repealed by Session Laws 1983 (Regular Session, 1984), c. 995, s. 17. § 115D-95.1. Student Protection Fund. § 115D-96. Operating school without license or bond made misdemeanor. § 115D-97. Contracts with unlicensed schools and evidences of indebtedness made null and void. Article 9 - Postsecondary Education Credentials. § 115D-105. (Expires June 30, 2019) Board of Postsecondary Education Credentials.